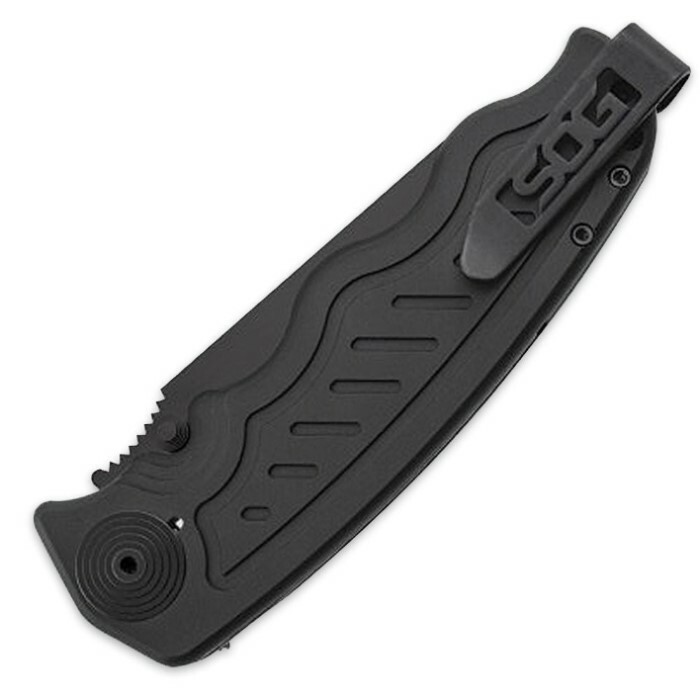 SOG Zoom Tanto Assisted-Opening Black | BUDK.com - Knives & Swords At The Lowest Prices! 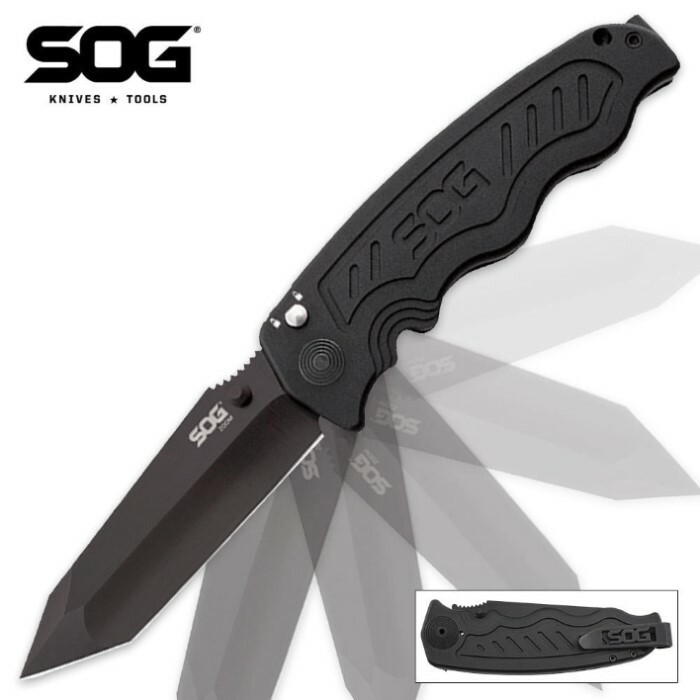 This Zoom Tanto Assisted-Opening knife by SOG is a compact, lightweight folding pocket knife that will stand the test of time. With its 3-1/2" AUS-8 high-grade stainless steel clip point blade, you can depend on it to slice right through any cutting task you have. The hard-anodized aluminum handle affords you a strong, comfortable grip and the thumb stud gives you quick and easy access to the blade. With the reversible pocket clip, this folding knife is perfect for everyday carry. The closed length is over 4-1/2".